Original Assassin Agent 47 is back after 6 years. This time more leaner, meaner and dangerous. The game will be familiar and yet significantly different experience from other Hitman games. Better, richer, sillier and wilder Borderlands is back. The sequel sticks to four playing characters, although all of them new compared to the original. Borderlands 2 features brand new environments, new enemies, new gun system and better online play. The upcoming release next year is the 9th installment of the game with no ties to past titles. The game focuses on combat, has a new skill system, and new dynamics previously unseen in any Tomb Raider game. The Last Guardian is a third-person perspective game that combines action-adventure and puzzle elements. The game features a small boy and giant creature called Trico, with the boy trying to escape the ruins of a gigantic castle. 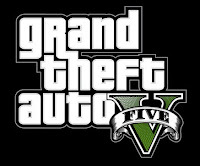 The games was to be released in 2011 but now it will be landing in 2012. Bioshock Infinite is the game in the Bioshock series developed Irrational Games. Bioshock Infinite is a first-person shooter with role-playing game elements similar to the previous two games but the game’s story isn’t directly related to Bioshock 1 or 2, adding an element of mystery to it. Two different franchise one fighting game. Capcom’s Street Fighter meets Namco’s Tekken in this crossover fighting game, where you can pit legendary fighters from both these independent game series against each other. As expected, the game has a more of Street Fighter look than of Tekken’s. Can’t wait to play Ryu vs Law! The third installment of this epic sci-fi RPG, whose mere mention is enough to send pleasure waves through fans all over. The third edition will feature a rich story-line, customizable arsenal and intelligent enemies. It has been closed to eight years since the last Max Payne game. Max Payne 3 will also make return of bullet-time in action sequences, which the franchise is notable for. New to the series are cinematic action movements, essentially interactive cut-scenes. The game’s online multiplayer features maps and modes that dynamically change within a match, as well as reward, ranking and clan systems. The psychopathic clown is back after 3 years. One of the best of its kind – vehicular combat, Twisted Metal is developed by various companies during its tenure. This edition is developed Eat Sleep Play – the developer Head-On Extra Twisted Edition. In this installment, multi-player combat plays an important role supporting up to 4 player split screen action and 16 players online arena. Any one who has ever played a Twisted Metal game, can’t dare to miss this one. The most popular RPG has another sequel. This one is the largest game ever created by Rockstar, set in the city of Los Santos and its surrounding hills, countryside and beaches. A bold new direction in open-world freedom, storytelling, mission-based gameplay and online multiplayer, Grand Theft Auto V focuses on the pursuit of the almighty dollar in a re-imagined, present-day Southern California. What’s your most anticipated game of 2012? Please comment!